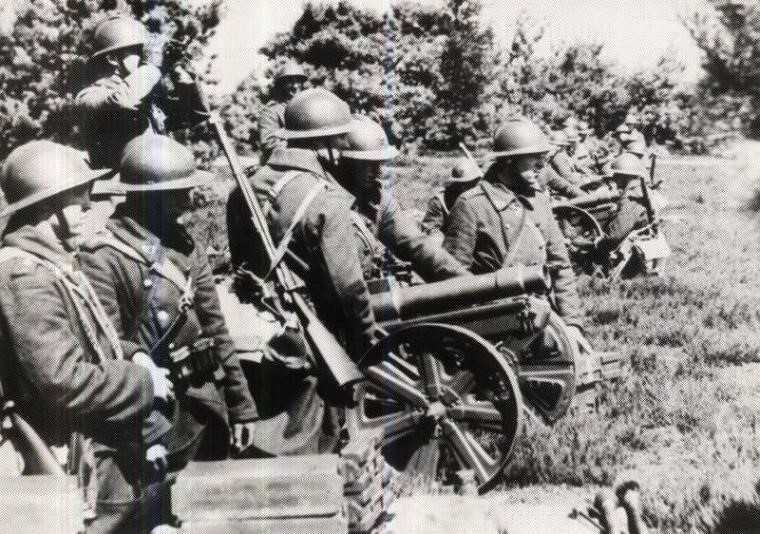 Notes The 76 FRC was the standard infantry gun issued to heavy companies at regimental level. It could have a 47mm barrel inserted into breech to be able to fire 47mm AP rounds, which gave it a duel role of both an infantry gun and anti-tank gun. It was placed on a trailer for transporting over long distances and this was attached to a light truck.